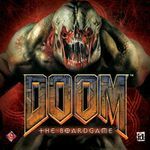 I was just looking thru the Family Game list and I was having a hard time finding any science fiction themed family games. I was going thru the list pretty quickly and so Martian Dice was the first one I spotted (rank 307). 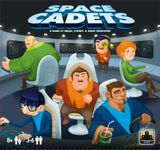 What are some good Science Fiction themed family games? Rank 307 in Family Games. I don't know the ages in your family, but this seems like it might work. 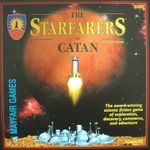 I'm also a fan of Ad Astra (which might be described as a slightly more complicated version of Settlers of Catan, but in space). Alien Frontiers might also work (which, if I'm remembering correctly, is hit like Stone Age in space). You may want to try Race for the Galaxy. It uses the same mechanism as Puerto Rico but much more simple to play. It depends a lot on the kind of difficulty you're searching for but in my opinion this game isn't harder than galaxy trucker. Not a particularly good game, but a SF family game. Co-ops are usually good, because the parents can help the kids and they're still playing the right way. Another co-op, though this one is OOP. SF / Fantasy. Robots, aliens, but also knights, zombies, soldiers, and more. Great fun, but also OOP. I thought of another one for my own list. 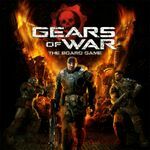 It may have the reputation as a game for gaming groups, rather than families, but I think CE can be a great choice. 1. There's very little downtime, because of the alliances and bargaining that happen almost every turn. 2. There are a lot of alien cards that give special powers. The alien cards not only have great artwork, but their powers are almost always intriguing from the get-go. 3. My kids love bargaining, deception and ganging up on the lead player. CE offers these things in abundance. 4. 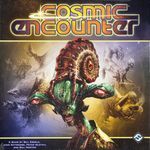 I've been able to adapt Cosmic Encounter for our family - our first several plays were without the flare, artifact and tech cards, and only recently we added in the flare cards. The alien cards are also categorized into basic (green), intermediate (yellow) and advanced (red) levels for easy scaling. 5. It's been great fun, and there are expansions. Fun squad based card and mini combat but OOP and not cheap.